The decision to buy a security camera is driven by the peace of mind that comes from knowing your home is protected. But when it comes to keeping an eye on their home, people don’t want more information; they want better actionable information. 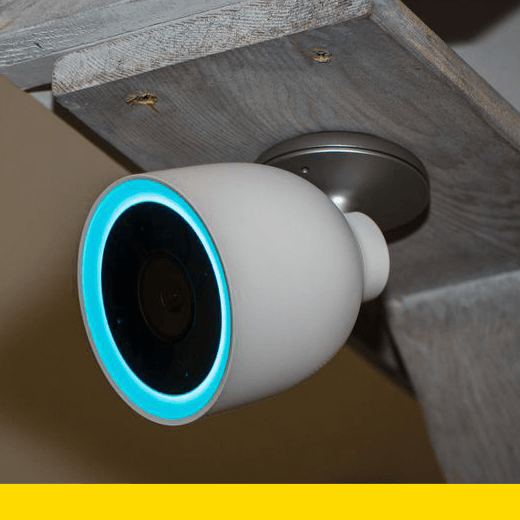 With the launch of the Nest Cam IQ Outdoor, Nest introduced one of the most intelligent and powerful cameras on the market that is thoughtful about when it alerts the homeowner. It uses advanced algorithms to distinguish a person from a thing, and then automatically zooms in and follows them in the app. Its 4K sensor, HDR and 12x digital zoom show everything in crisp 1080p HD. It includes a speaker so homeowners can communicate with intruders. This is a camera that does more and expects less of the user. Instead of just showing what’s happening, it delivers critical actionable information.